During the process, the image will first be rasterized, which means it will lose quality and then it will be turned into black-and-white because vectorization implies discarding color information. reaConverter’s latest edition helps you avoid this situation by opting to ignore raster data during vector-to-vector conversion. This translates into a converted image in which the quality of the input vector is well preserved into the resulting vector! Start reaConverter and add one or more vector images with raster data. 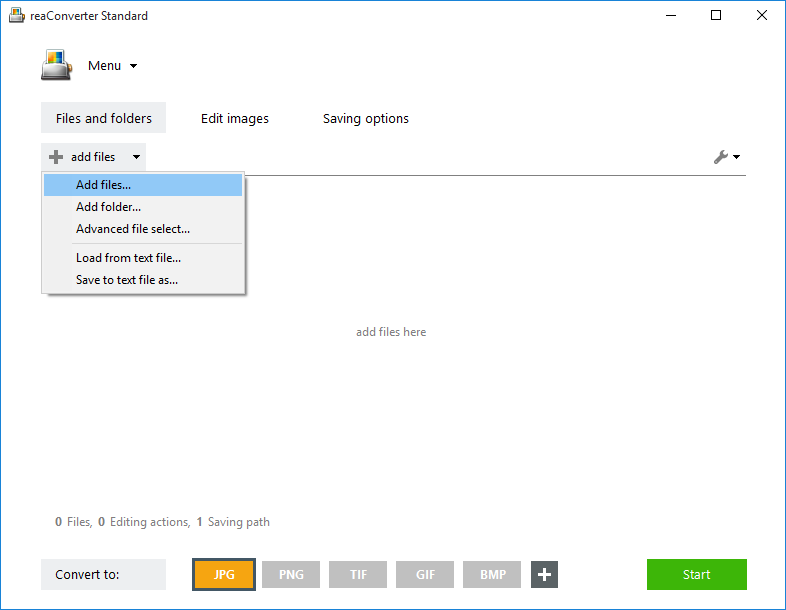 You can find them manually on your hard drive, use the drag-and-drop tool or access the Advanced file select option, allowing you to automatically choose files according to size or extension from folders containing multiple formats. 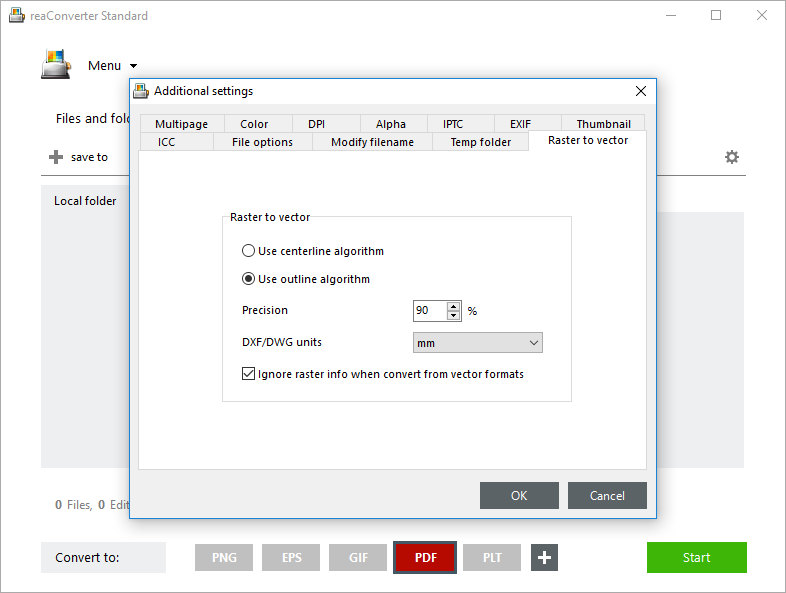 reaConverter will automatically opt for converting only the vector data identified in the input file, thus ensuring image quality is preserved from the input to the output image. In the Saving options tab, pick the location of the output vectors. Finally, pick the output extension from the buttons placed in the Convert to area. 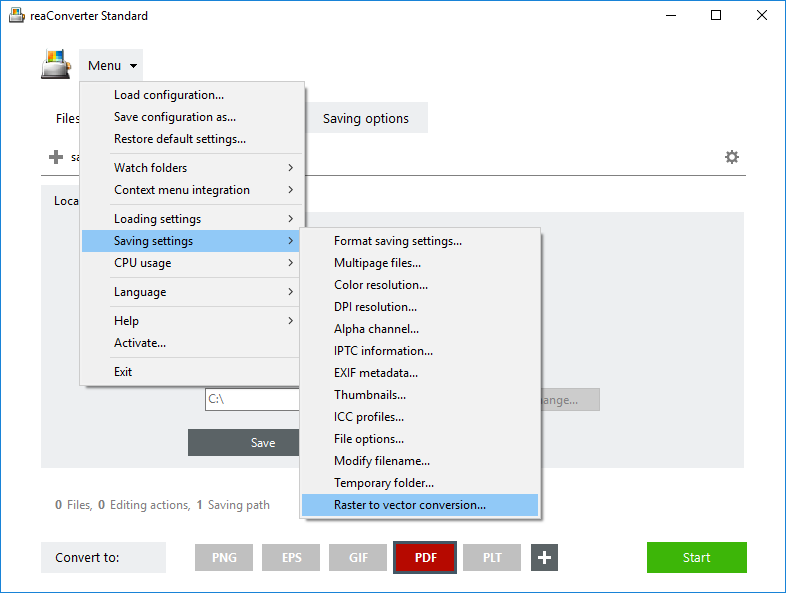 In case the format you are looking for is not there, click the Plus button and get a full view of all output extensions supported by reaConverter. Then simply press Start and your newly converted vectors will soon be ready! 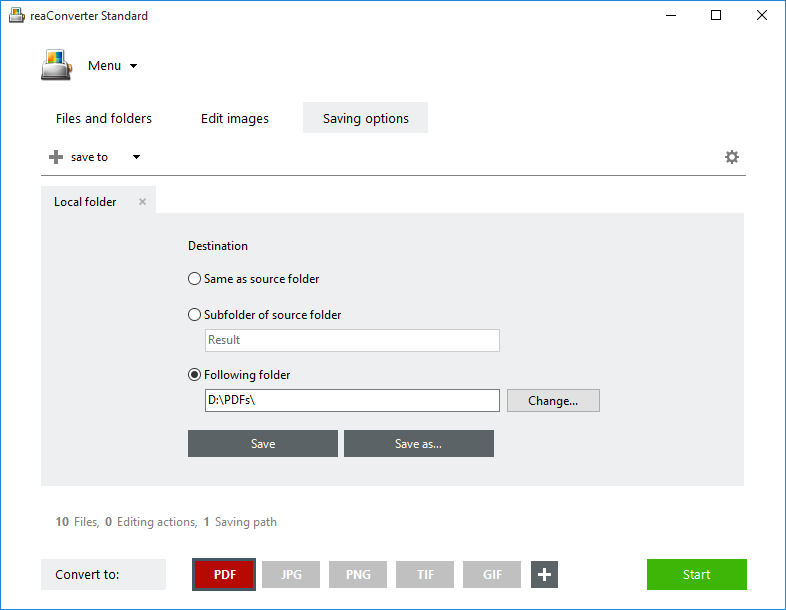 Advanced users can convert vector files from command line interface or using DLL in manual, automated or scheduled mode. You are welcome to contact our technical support when you have any questions about reaConverter.